Croydon Council has launched a competitive tender process to appoint a team to design Croydon's Fair Field, a new public space on the site formerly known as Fairfield Gardens or College Green. 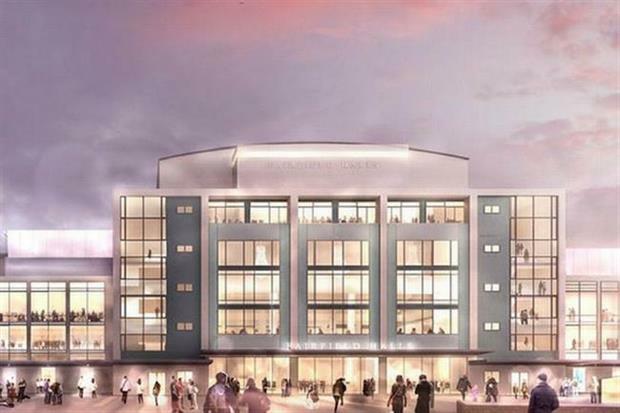 Located in the heart of the town’s new cultural quarter, the council says this new public space will be hugely important for the town centre, as a cultural, civic and community hub and the setting for the Fairfield Halls, due to re-open next year after major refurbishment. The council anticipates Fair Field will incorporate the use of water, lighting and other technologies, providing a platform for cultural and community activity linked to the Fairfield Halls. Councillor Paul Scott, cabinet lead for planning and regeneration, said: "We’re looking for a design team who are as ambitious as us as a council and a borough to design an inspiring, sustainable and resilient public space at Fair Field. "This will be a monumental scheme for future generations to enjoy and we’re really looking forward to seeing submissions from those who are just as passionate and ambitious about our borough as we are." The contract, valued at £1m, is due to start in September and last until August 2022. Provide informal amenity space for adjacent residential development and the wider Croydon residentialpopulation including informal play. Create a space that will enthuse and excite, integrating water feature(s) and public art (multi-disciplinary). Provide a high quality pedestrian route linking the new Fair Field and associated public realm and EastCroydon Station via College Road and George Street.